Check out the new Dr. Seuss book! Every pet looks like fun, so how in the world do you just pick one? 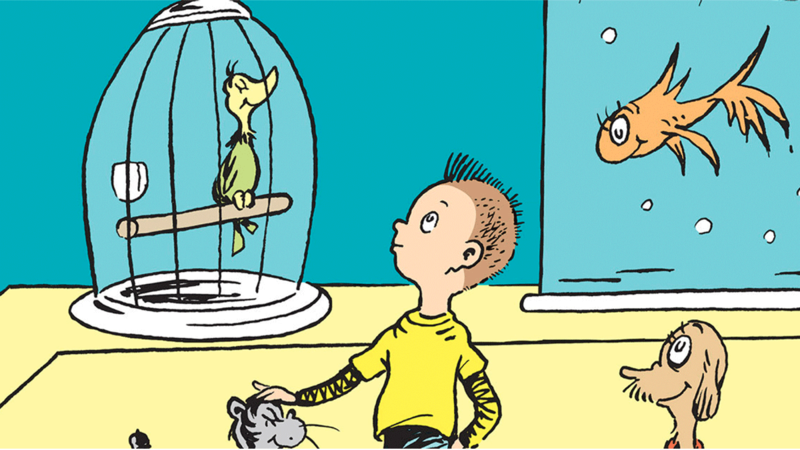 If you love Dr. Seuss’s books, we’ve got some really exciting news for you! There’s a brand new, never-seen-before Dr. Seuss book out right now called What Pet Should I Get? and it’s all about making one of the most difficult decisions ever! If you’ve ever looked for a new pet, you’ll know how hard it is to decide which one will be your new best friend. In the book, a brother and sister visit a pet shop to choose a pet with their dad. There’s just one thing – they just can’t decide because there are so many different animals in the pet shop to choose from! What Pet Should I Get? by Dr. Seuss is out right now. Click here to find out more!